Erin and Diane Murphy (Tabatha). 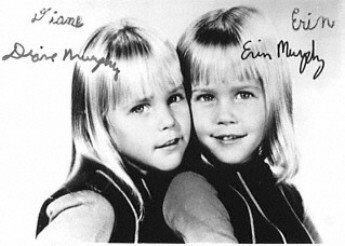 Erin and Diane Murphy who played Tabatha Stephens in the '60s tv series Bewitched.. Wallpaper and background images in the hechizada club tagged: bewitched erin murphy diane murphy tabatha stephens witches photo. This hechizada photo might contain retrato, tiro en la cabeza, primer, headshot, primer plano, en la cabeza, and closeup.